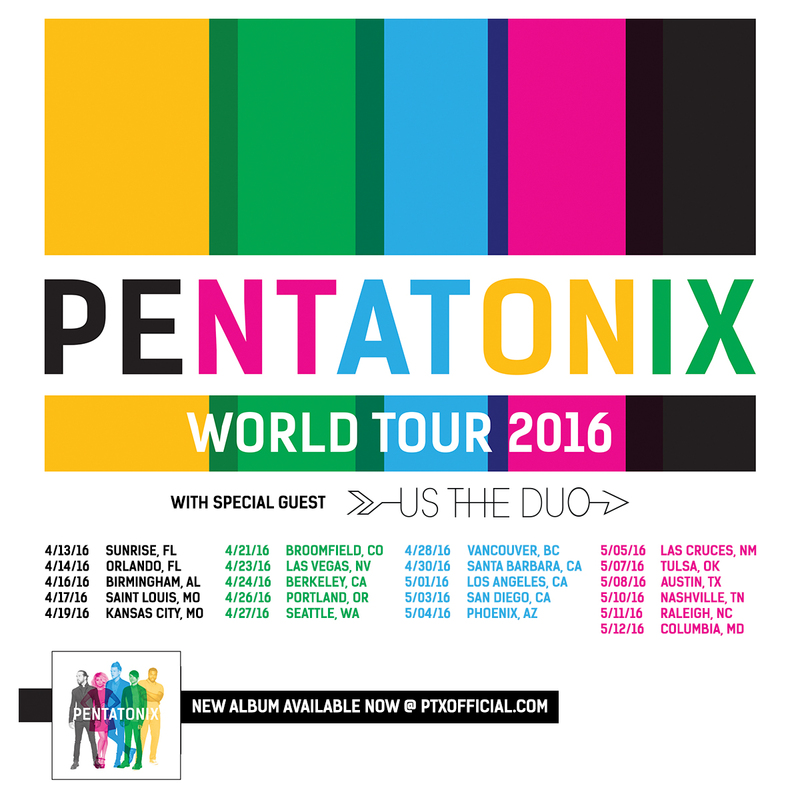 We are SO excited to announce the first leg of the PENTATONIX WORLD TOUR 2016 with our friends Us The Duo across North America this year starting in April!! Patreon pre-sale begins Wed, Feb 10 @ 10am local! Tickets begin to go on sale Friday, February 12th at 10am local. Also... a limited number of VIP upgrade packages will be available this Friday at 10am local. You can get more info about those VIP packages at ptxofficial.com/vip. We CANNOT wait to see you all on the road very... ‪#‎soon‬.